I was flying with Emirates from Seoul to Dubai on first class and apx. 2 hours before landing I took a shower. 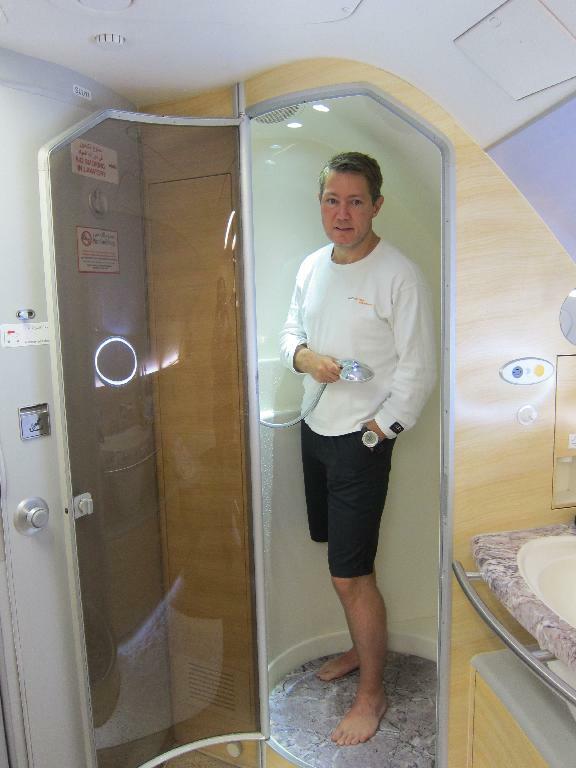 That was the first shower I have had while flying, and a very special experience ... a "Concorde Moment"
Since I flew the Concorde many years ago, not much have changed, the seats got better, so did the food and selections of wine, but besides that not much have changed. But on the A380 Emirates have included 2 showers for their first class passengers, and the shower comes with heated floor, hair dryer and a whole selection of products to use for the shower plus fluffy towels .... fantastic experience. 84 - It's really cool that author write a post on this theme. I learn a lot of new interesting information and i would like to read another post this author. He is really gorgeous.